Your Face Wash Probably Has Ugly Ingredients—Give Your Routine a Makeover! Here's the ugly truth: The $60 billion beauty industry is one big unregulated mess. That means some of the most expensive, fanciest skin and hair care products are nothing more than misleading claims and synthetic chemicals that can harm either your body or the planet. And it's likely you're using some of them. Take a look at the label on your conventional cleansers, lotions, and serums. If you find any of these ingredients listed below, your skincare routine needs an overhaul makeover—stat. Derived largely from petroleum or coal tar sources, these bright, pretty hues are the end result of dozens of chemicals that can deposit toxins on the skin, or even worse, get absorbed into your body and potentially cause internal damage. You know that refreshing scent you smell as soon as you open the lid of your favorite beauty cream? Well, if you see "fragrance" on the bottle, it most likely stems from a mixture of artificial ingredients, many of which are banned outside of the U.S. "Fragrance" can mean almost any ingredient, including phthalates, known endocrine disruptors that have been linked to an increased risk of breast cancer. Used to absorb water and maintain moisture, this synthetic liquid substance is associated with skin irritation and inflammation. Prevent bacteria growth and extend shelf life—particularly in shampoos—and have been linked to estrogen disruption and possible breast cancer. Touted for their detergent and foam-building abilities (think face wash and shampoo), but blamed for causing eye irritations, skin rashes, hair loss, scalp scurf similar to dandruff, and allergic reactions. Not so pretty, right? That's exactly why Kristy Guerra, founder of Acure, took matters into her own hands and created a line of certified organic, affordable products that actually do more good than harm. After watching her grandmother battle breast cancer for a decade, Kristy set out to "get to the root what we're being exposed to on a daily basis." But that was only part of the challenge. 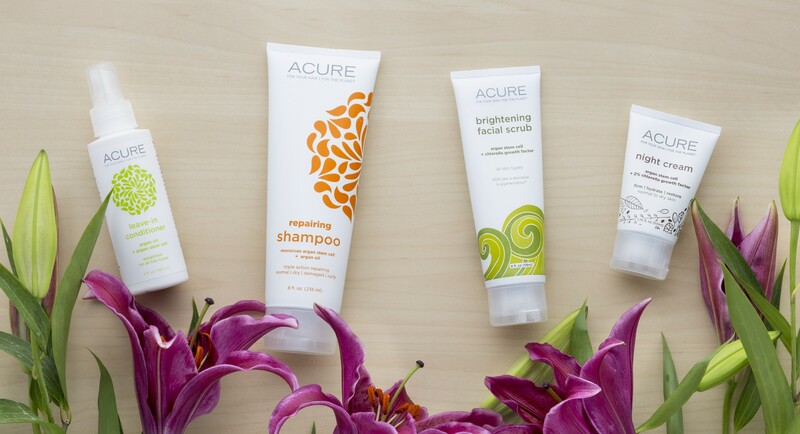 "It's not enough for it to be natural," explains Amy Halman, President and Formulator of Acure Organics. "It has to work." So Acure uses only the purest, most potent ingredients available—like chlorella growth factor (clinically proven to increase collagen expression by more than 300 percent! ), active stem cells, vitamin E and fatty acid-loaded argan oil, and antioxidant-rich, wildcrafted marula oil, otherwise known as "liquid gold." "Natural is better," Halman says. "Our ingredients get to the source of what is breaking down in the first place, rather than just covering up the damage that's been done by synthetic chemicals." 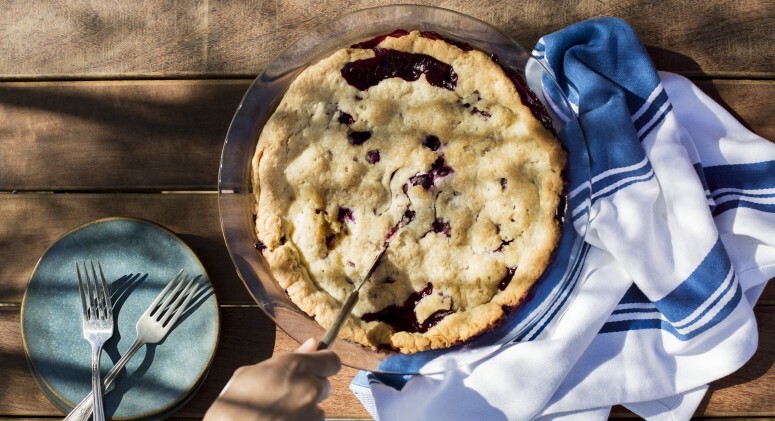 Thrive Tries It: Is a Blueberry Pie Still a Pie When It's Baked With Coconut Oil?